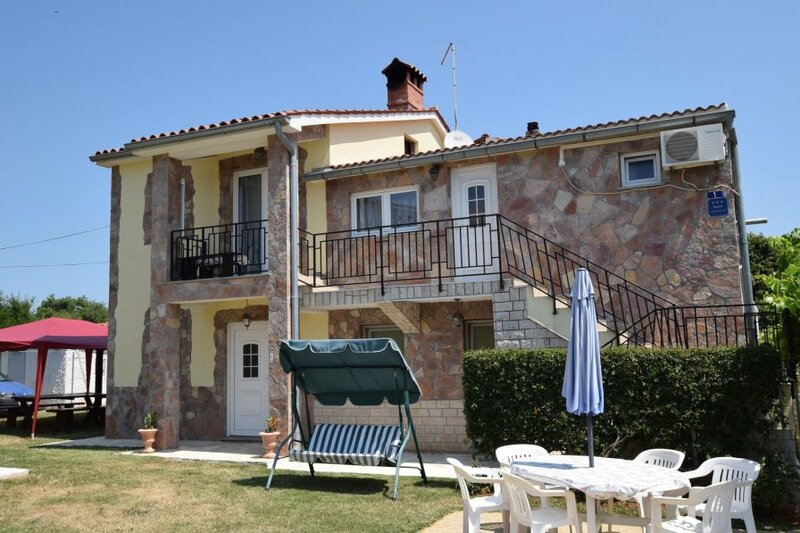 Comfortable holiday apartment for up to 6 persons with a nice barbecue area with large table and benches. The holiday apartment also has a private above ground swimming pool, ideal for children. The fenced garden is very well kept and is large enough for children to enjoy themselves. The shops, pharmacy, gas station and restaurants are situated only 300m away. The sea and beaches are very close to the holiday apartment, and are also child friendly. Welcome to Banjole. Welcome to Holiday apartment Zana!! !